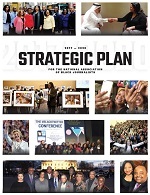 WASHINGTON, D.C., November 19, 2010 - The National Association of Black Journalists (NABJ) announced that Maurice Foster is the new Executive Director of the largest journalist organization of color in the nation. Foster joins NABJ from the National Bar Association, where he served as Deputy Executive Director for seven years. He brings more than 22 years of diversified leadership experience in association and non-profit management. He is an experienced and proven achiever in fundraising and grants management with a successful record of developing, soliciting, and writing grant proposals, especially in the Washington, D.C. area. He has raised and administered millions in federal grants and contracts, and handled budgets for a variety of organizations and programs. Additionally, Foster has extensive experience in conference management and has orchestrated and implemented more than 60 conferences and conventions, seminars, and trade shows/exhibits, including international meetings in 15 countries. Foster is a graduate of Rutgers University, the Antioch School of Law, and has pursued continuing studies education from Yale University. 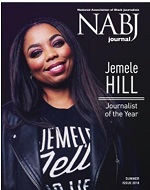 Members and partners will have an opportunity to formally meet Foster at the NABJ Hall of Fame Gala at the Newseum in Washington, D.C. on Jan. 27, 2011.